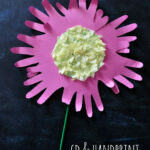 Mother's Day Flower Pot Craft -Easy gift for kids to make for Mom! 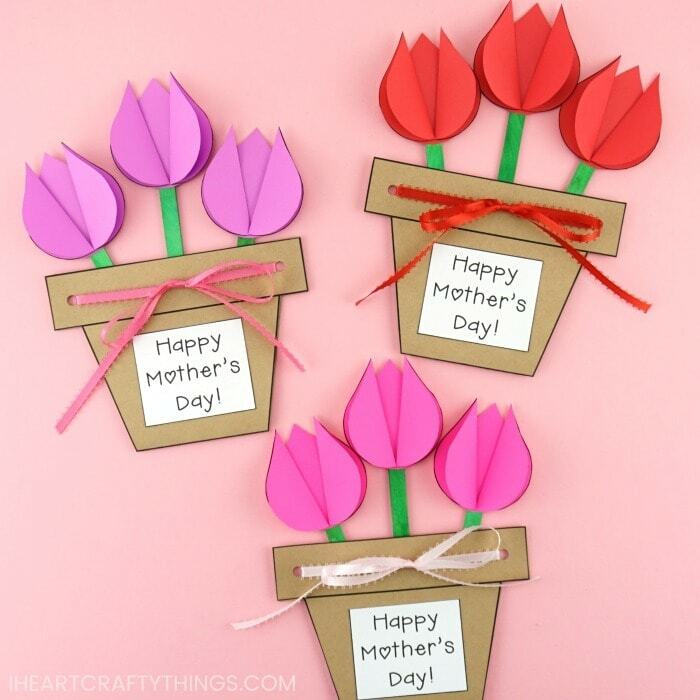 If you’re looking for a gorgeous Mother’s Day gift for kids to make this year, this Mother’s Day flower pot craft can’t be topped. 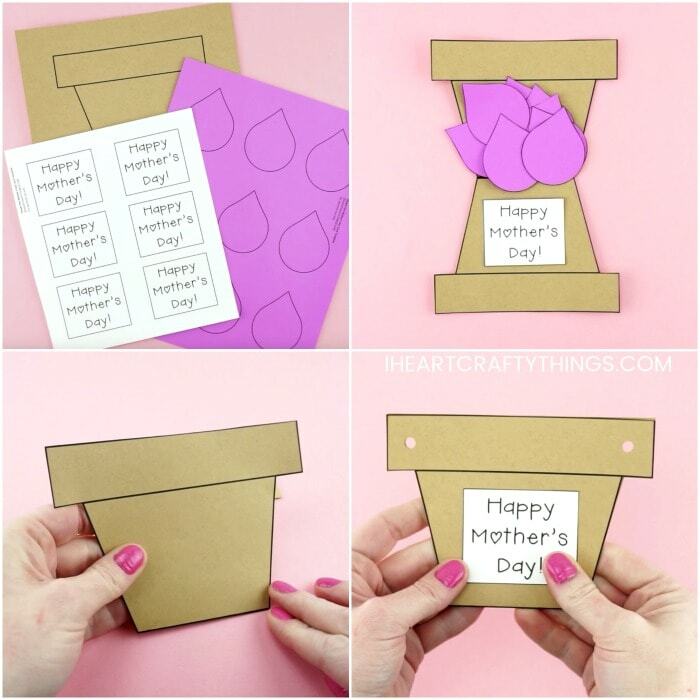 Our template makes the flower pot an easy kids craft to make and mom or Grandma will adore the special message hidden inside the pot when she opens it up on her special day. Mother’s Day is the perfect day let mom put up her feet, relax and spoil her a bit with her favorite things. While freshly cut flowers are gorgeous, it’s so sad when they start to wither away. 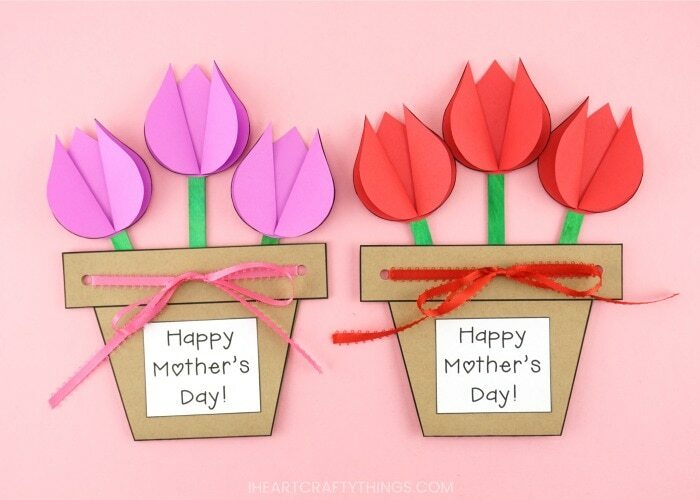 That’s one reason I love making flower crafts for Mother’s Day. They are a colorful and beautiful way for mom to enjoy the flowers as long as she wants without having to throw them out. 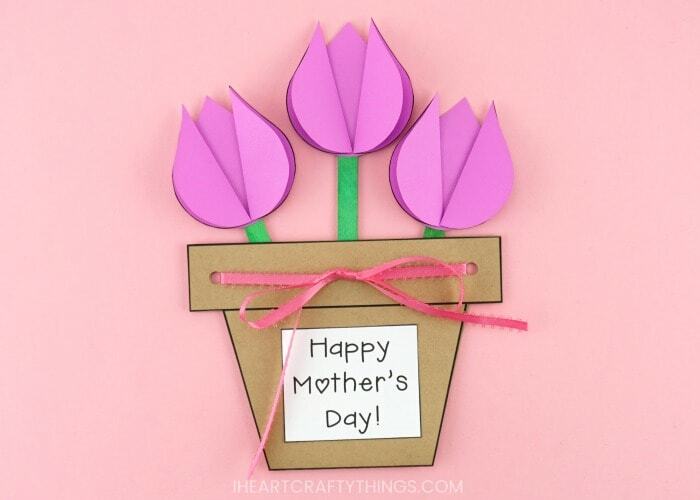 Grab our template and your craft supplies and get ready for an afternoon of fun creating this colorful flower pot craft for a homemade Mother’s Day gift. The simplicity of the craft makes it perfect for home, school or Sunday school. 3/8″ Ribbon -Find different colors at Michael’s. Step 1: Purchase and download the flower pot craft template. Print out the flower pot page of the template on brown kraft cardstock. Print out the flower petal page of the template on red, purple or pink paper. Finally, print out the Mother’s Day card tag page on white cardstock. Step 2: Cut out each of the pieces of the template. Note: Each child will only need one Mother’s Day tag for their card. 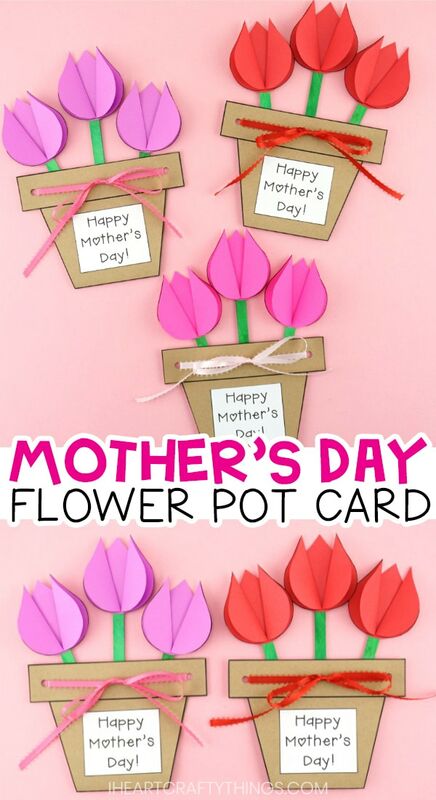 Step 3: Fold the flower pot template in half along the line between the two pots to create your card. 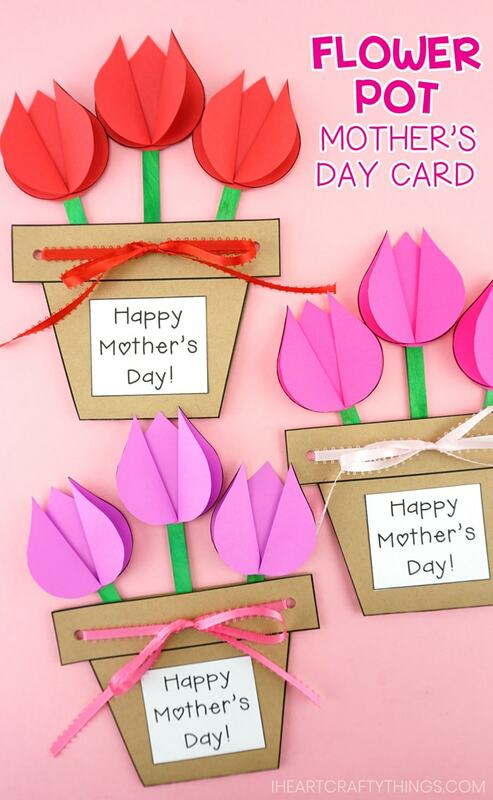 Step 4: Glue the Happy Mother’s Day tag on the front of the flower pot card. Step 5: Use a hole punch to punch a hole on each side of the flower pot rim to add your ribbon in a later step. Step 6: Gather your flower petals from the template. Fold six of the flower petals in half and leave three unfolded. Step 7: Add glue on the sides of one of your unfolded flower petals and glue two folded petals on the flower with the folds facing towards each other. 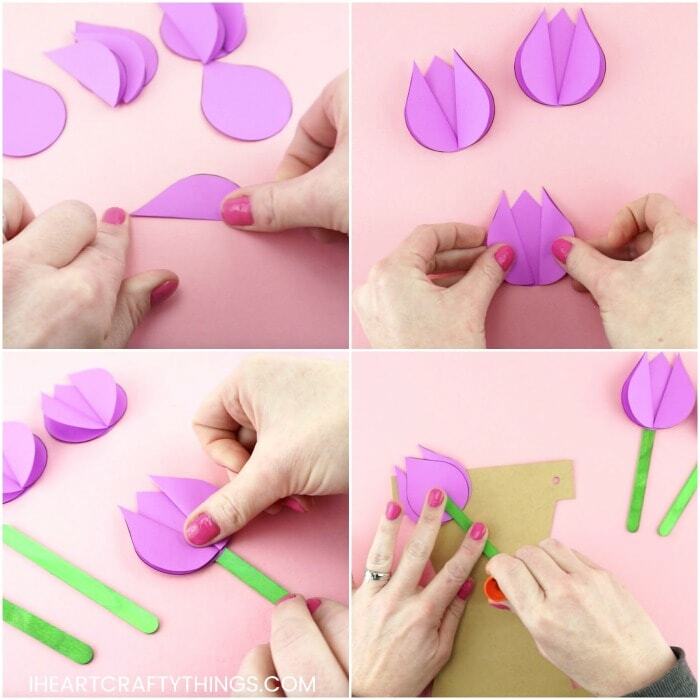 Repeat this step to make two more tulip flowers. Step 8: Add glue at the top of your green craft sticks and attach the tulip flowers to them. NOTE: If you don’t want to purchase pre-painted green craft sticks, simply paint wood craft sticks with green paint. Step 9: Open up your flower pot card. Add glue to the back of the green craft sticks and glue them at the top of the card so the stems are down inside the flower pot. 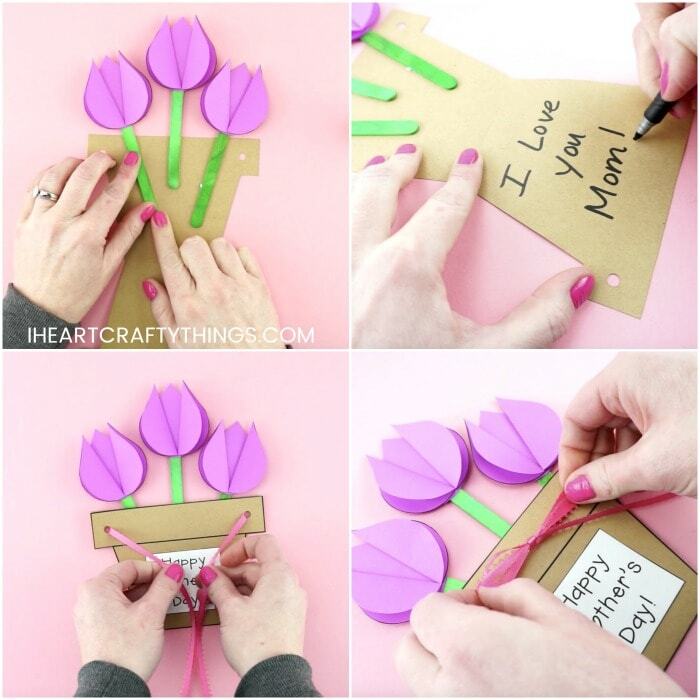 Step 10: Use a marker to write a personalized message on the bottom of the flower pot card. Step 11: Close the flower pot card. Cut off a section of ribbon about 26-inches long. Thread the ribbon through the two holes at the top of the flower pot and tie it closed with a bow on the front of the flower pot card. Your Mother s Day flower pot craft is complete. 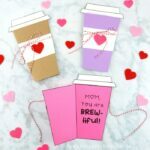 When you give Mom or Grandma her card, have her untie the ribbon and open it up to reveal the message on the inside of the card. Watch the video below for a step by step guide on how to make this simple flower pot craft with our template. 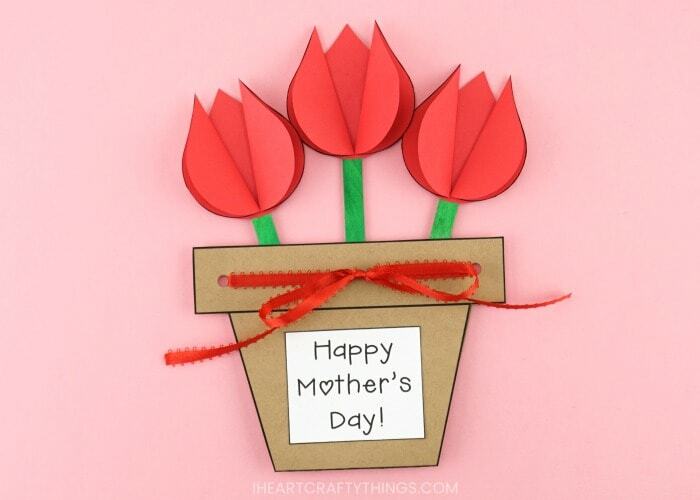 Find more Mother’s Day craft ideas, flower crafts and spring kids crafts by browsing the categories at the top menu bar of our website. 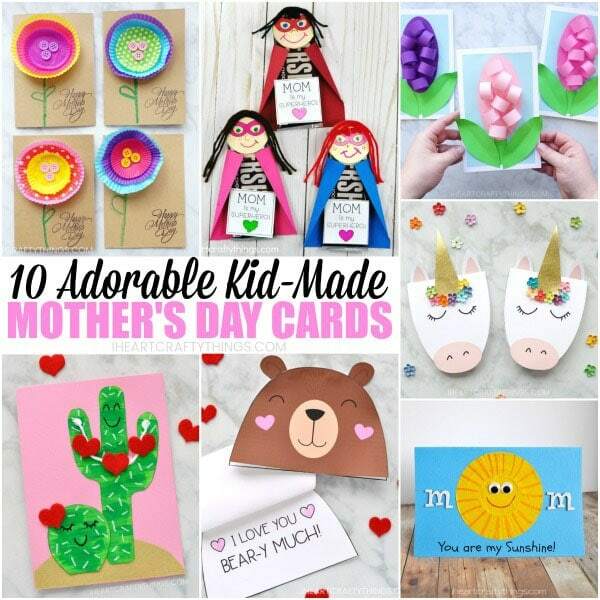 You can make an entire collection of cards for Mom this year. Check out 10 more adorable Mother’s Day card ideas for Mom or Grandma. 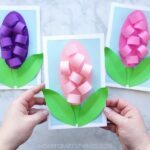 « How to Make a Pop Up Flower Card – Easy Spring Tulip Craft for kids!